ClassicMar | The sea, our commitment Classicmar your ally. The sea, our commitment Classicmar your ally. Thank you for visiting our website, where we display a wide range of services. The refurbishing of the boat named Comet has been carried out in keeping with the original aesthetics. All the elements have been maintained, restored and reproduced (where there is no alternative) in keeping with classic aesthetics and original materials. 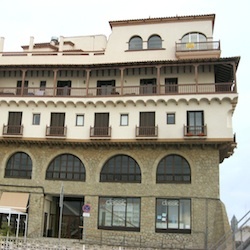 The restoration was intended to preserve the original details adapted to current needs. Would you like to sail and enjoy Mediterranean sea with your own boat? The months that you can't sail due to bad weather, you can choose to have your own boat in the Mediterranean cost of Barcelona or Balearic islands, and we will look after all the logistics details, both referring to your accommodation and to the mooring. We will manage any repair or maintenance that is required, so that you have always your boat ready to sail. 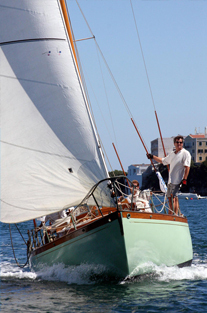 Passion for wooden boats was the subject of the TV program Thalassa, broadcast on TV3-Television of Catalonia in 2011. The TV show focused on Roc Pujol, manager of Classicmar, who explained all the professional activity and recreational moments around the Classics. We love what we do and we put all our efforts to do a good job with quality and transparency thanks to an extensive knowledge of the sector. The sea is a way of life. Classic boats are a way of experiencing the sea.